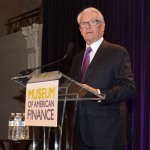 "Charles Schwab is the perfect inaugural Financial Innovation Award recipient, given his many creations that assisted and championed the individual investor"
SAN FRANCISCO--(BUSINESS WIRE)--The Museum of American Finance honored Charles R. Schwab, at its annual gala on January 12, 2016. 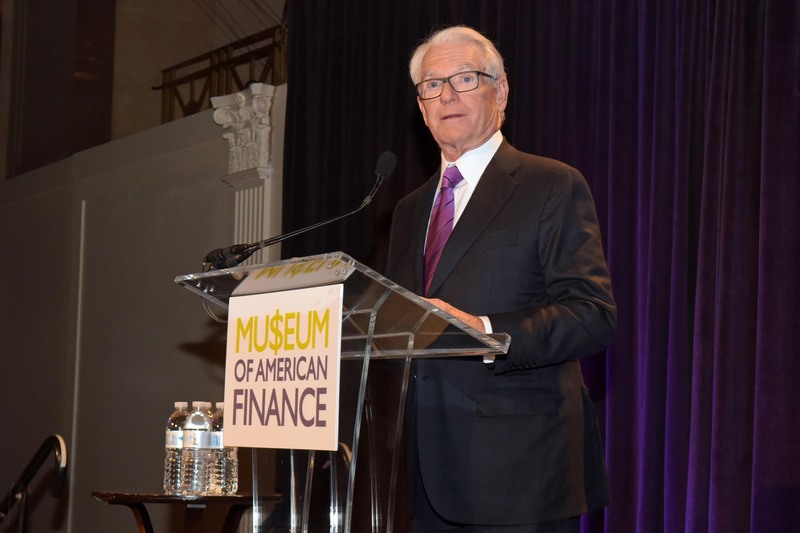 This was the museum’s inauguration of its Financial Innovation Award, recognizing individuals who have introduced new markets or new financial instruments to the financial system. “Charles Schwab is the perfect inaugural Financial Innovation Award recipient, given his many creations that assisted and championed the individual investor,” said David Cowen, President and CEO of the Museum of American Finance. 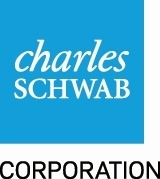 Charles (“Chuck”) Schwab started the San Francisco-based Charles Schwab in 1971 as a traditional brokerage company and in 1974 became a pioneer in the discount brokerage business. Mr. Schwab took an early lead, offering a combination of low prices with fast, efficient order executions, and soon became the nation's largest discount broker. Today, the company is the nation's largest publicly traded investment services firm with over $2.5 trillion in client assets and provides a full-service investing, wealth management and banking experience to clients domestically and abroad and serves over 10 million accounts. 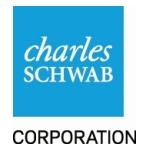 Mr. Schwab has been chairman of The Charles Schwab Corporation since its inception and served as Chief Executive officer for most of its history until October 2008. He is also Chairman of Charles Schwab & Co., Inc. and Charles Schwab Bank. “Our success came from a team of people devoted to finding a better way for investors. We were on a mission, and still are today, to innovate in the areas that truly matter to investors: on cost, on ease and access, and particularly on outcomes – because our ultimate goal is to help people fulfill their financial dreams,” said Mr. Schwab. On January 22, 2008, President George W. Bush named Mr. Schwab chairman of the President's Advisory Council on Financial Literacy, a groundbreaking initiative that advised the President and the Secretary of the Treasury on ways to promote and enhance financial literacy among the American people. He is the author of several bestselling investment books, including, How to Be Your Own Stockbroker, Charles Schwab's Guide to Financial Independence, It Pays To Talk, written with his daughter, Carrie Schwab-Pomerantz, and You're Fifty — Now What? Mr. Schwab was born in Sacramento, California. He is a graduate of Stanford University, earning a Bachelor of Arts degree in economics and a Master of Business Administration degree from Stanford Graduate School of Business. Trades in no load funds available through Mutual Fund OneSource® service (including Schwab Funds), as well as certain other funds, are available without transaction fees when placed through schwab.com or our automated phone channels. Schwab's short-term redemption fee of $49.95 will be charged on redemption of funds purchased through Schwab's MutualFund OneSource® service held for 90 days or less. Schwab reserves the right to exempt certain funds from this fee, including Schwab Funds®, which may charge a separate redemption fee, and funds that accommodate short-term trading. Funds are also subject to management fees and expenses.